It is our pleasure to introduce SAS ZAYAAN a glamorous apartment building located in Shahjalal Uposhahar Plot 151, Block E, Road 4. It has been design to ensure its stature to be more modem than its neighbouring buildings. Leaving open space and facing north, the building embodies plenty of natural ventilation and an aesthetic excellence. 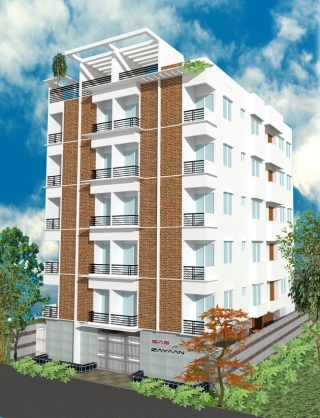 Building with apartment sizes 2800 sft (type B) and 1400 sft (type A/ east or west), is a symbol of contemporary design, equipped with modem, stylish, elegant fittings and fixtures. We always strive to build a better living for you by giving the best dwelling solutions in today's modern city space. For SAS progressive Co. Ltd.